White Stripes will issue their first three albums on cassette tape for the first time to celebrate Cassette Store Day, which invades independent music stores on October 14th. 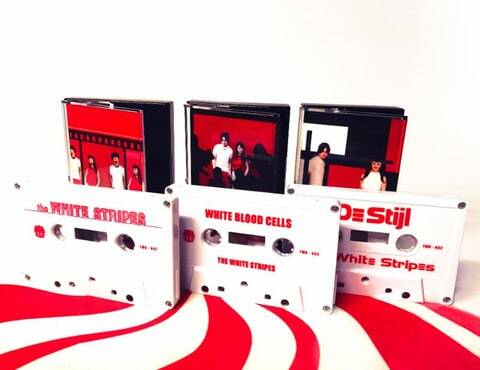 For the occasion – and to mark the White Stripes’ 20th anniversary – Third Man Records authorized the remastered albums – 1999’s The White Stripes, 2000’s De Stijl and 2001’s White Blood Cells – be printed onto white cassettes exclusively for Cassette Store Day. Black cassette versions of the three albums, which were never before produced in this format, will be available in the future. Check out the Cassette Store Day site for a list of participating music stores. The White Stripes previously announced plans to commemorate their first three albums with a three-vinyl collection boasting three of the band’s Detroit club gigs spanning from 1999 to 2001. 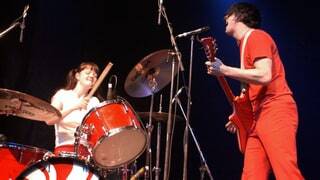 The White Stripes Live in Detroit: 1999-2000-2001, available through Third Man Records’ Vault Package, includes the White Blood Cells‘ record release show, where the album was performed in its entirety. Discover the daily changing stocks at eil.com – the world’s best online store for rare, collectable and out of print Vinyl Records, CDs & Music memorabilia since 1987.